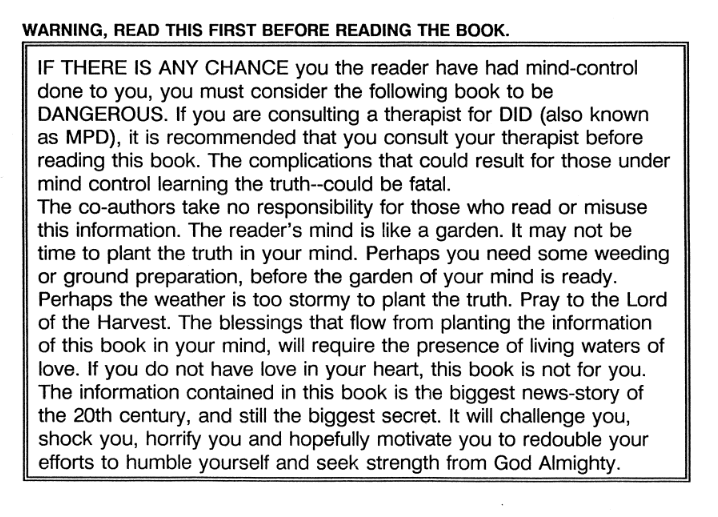 Just know that I’ve been warned that Springemeier can be very tough to read, not in terms of actual reading level, but in terms of emotional and spiritual strain. It’s one of the reasons I’ve not gone all the way down that road, yet, myself. So if this is you, or you suspect it’s you – turn away now. There’s no shame in that. Seeing this document reappear on the site was odd at the time because the CIA… well, Gina Haspel has had quite a time trying to get that agency under control, and we’re all very familiar with Clown activities by now, as per #QAnon. So to suddenly see this documented hosted again… it was almost like someone was trying to send a message. And I had hoped to get a chance to go through it at some point… but it’s a 300 page document, and on top of everything else I do, I just haven’t had a chance yet. Some #Anons did though, and to them, I think we owe a great debt, because it looks like they just actually figured out who [P] is. But Neon, didn’t you say P was The Pinay Group many moons ago? But that was way back in the beginning of March, and as you should be aware by now, we do our best here with the limited information we have. As such, our ideas will naturally change and evolve as we get exposed to new information. So please – consider this the logical, and natural progression in my understanding. Believe me, there’s nothing more I would love to be able to do for you than present 100% accurate information every single time. But not even MJ made every shot he took. In fact, he missed more than he scored. But the important thing – as the tired analogy goes – was the shots he did take, and the shots he did make. 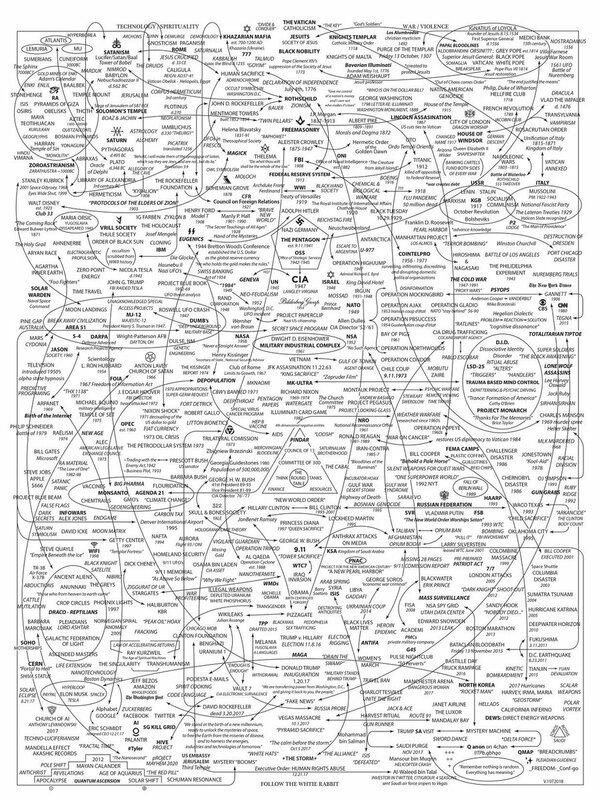 And again – major hat-tip to the anons and, in particular, to @intheMatrixxx and @AvonSalez – who compiled some awesome research on this subject. So with that in mind, let’s… Review Q! 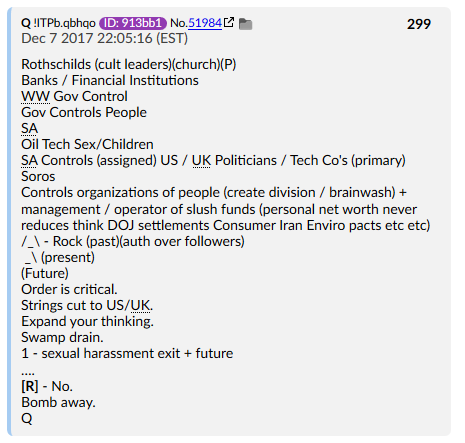 Drop 299 was the first mention of P, and as far as I can tell, and what Q establishes here is a hierarchy – most notably Q’s pyramid. But honestly – what bugged me at the time was that this wasn’t really a complete pyramid. /_\ – leaves a big gap at the top. 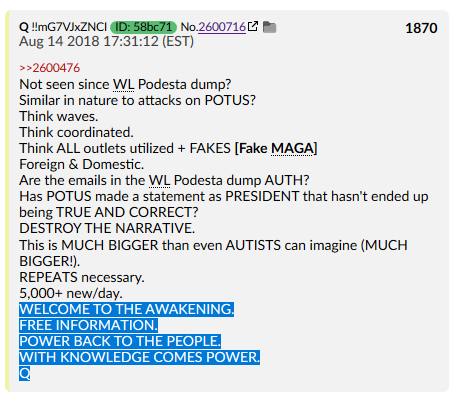 And as someone who has been on the chans for a long time – I had long thought that Q could have easily triforced a top to that pyramid. It was basically a way of making fun of newbies. Maybe not exactly like that, but I think you get my point. 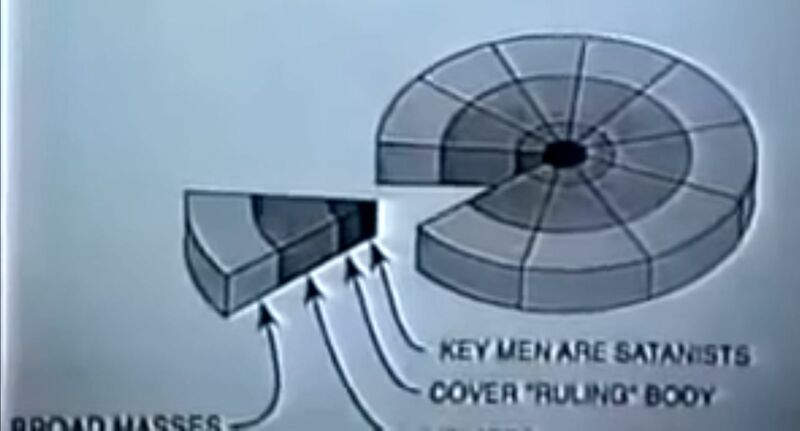 Q’s pyramid – while it still had three sides – was (purposefully, I think) lacking a top – because this particular mystery was not ready to be disclosed yet. 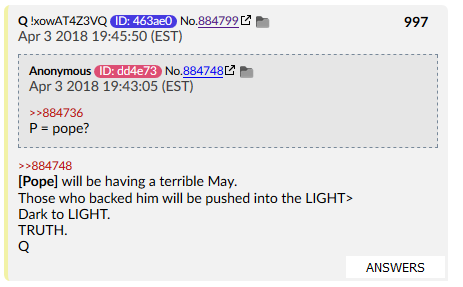 In this case, Q is saying P is saved for last. This time, there was much speculation. Pope, Pinary Group, and more all came up. Again, there’s a hierarchy established; someone or some group backing and controlling the Pope. So who is this mysterious P that remains hidden in the shadows, across generations? 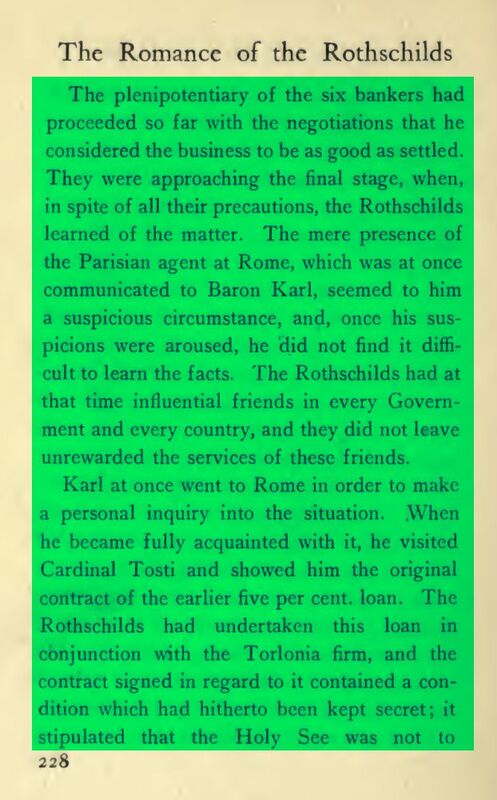 The P whom even the Rothschilds bow to? 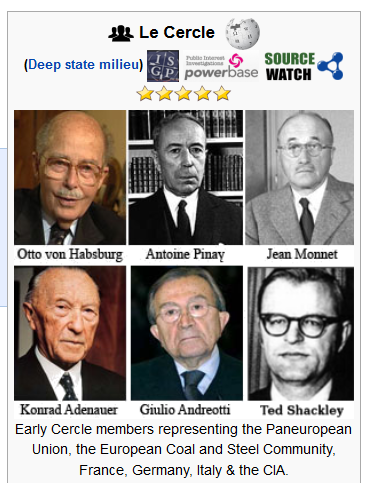 Springmeier is basically the grand-daddy of the “Conspiracy” world. You want to talk about the Rothschilds, or the Illuminati, or MKUltra? Congratulations; you’re in Springmeier territory. He’s been doing this stuff for a long time, and as such, he’s been marginalized about as much as you’d expect (labeled a “white separatist” and an “ultra right-wing extremist” at various times) for someone spreading the kind of message he’s been spreading, even serving a stint in federal prison for “armed robbery” – a crime he claimed he was innocent of. 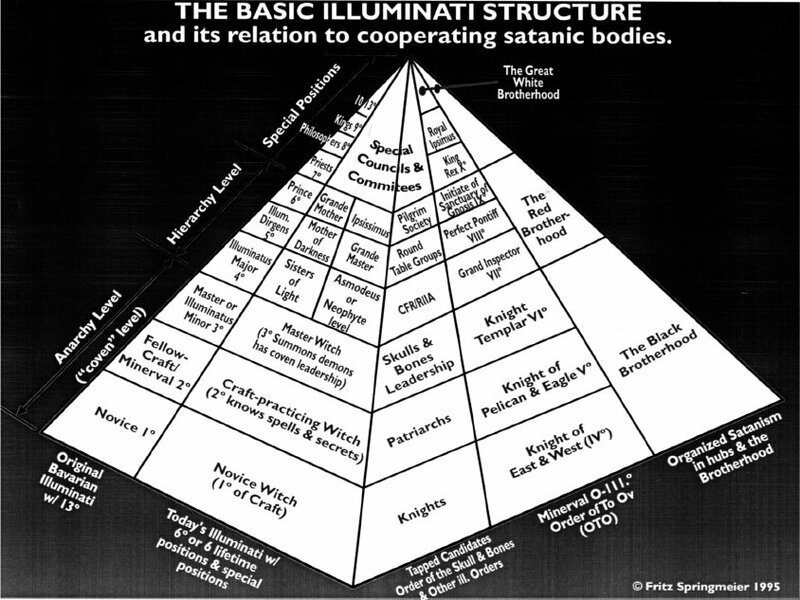 To understand what we would call the “Illuminati” you have to first understand them as the ultimate keepers of this Gnostic knowledge; the ones at the top of the hierarchy, who purposely horde knowledge for themselves, in order to exercise power and dominion over all others. But who are the Payseurs and how do they fit into this paradigm? That answer is a bit complicated, and requires a bit of explanation. But the Merovingians consider themselves… special. Because they say their bloodline contains the blood of Christ (or that of the House of David – depending on who you ask), and the seed of Satan – and they expect to produce the Anti-Christ from their line. (And I’ll echo Q and remind you here: it doesn’t matter what you believe about these statements. What matters is understanding what THEY believe about themselves – because it explains their motivations). 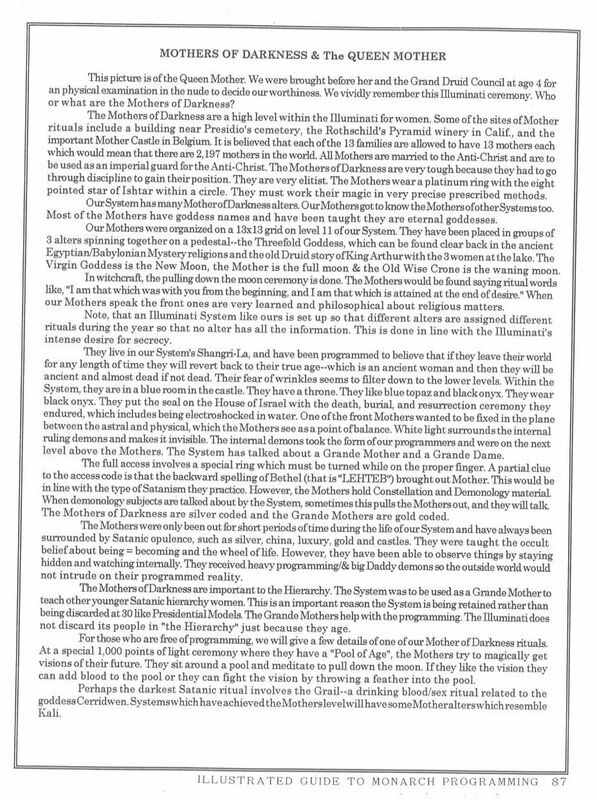 The ceremonies take place to produce a “moonchild,” which is a kind of anti-Christ (with the hope that the practice will eventually produce the Anti-Christ). It’s my opinion that Marina Abramovic is one such Mother of Darkness – and a particularly prominent one at that. 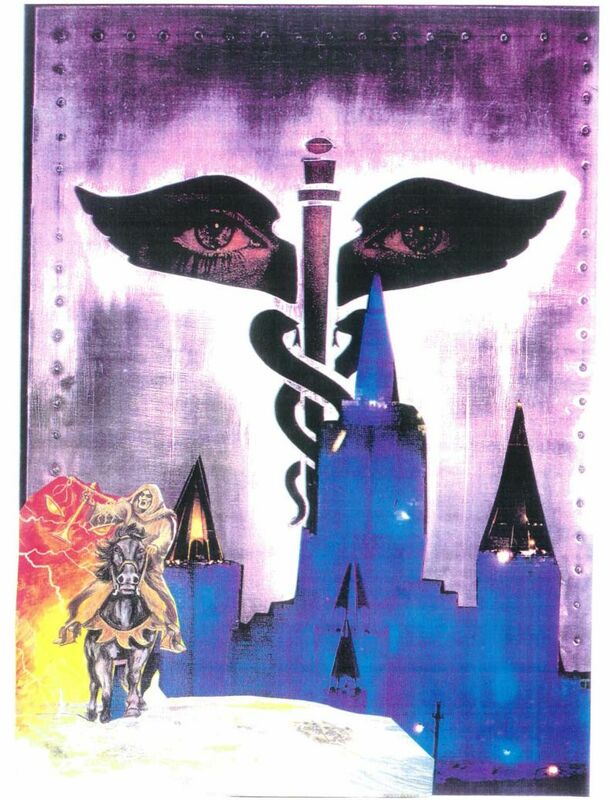 (That castle he talks about, for the record, is the Chateau des Amerois, the Castle of Kings). 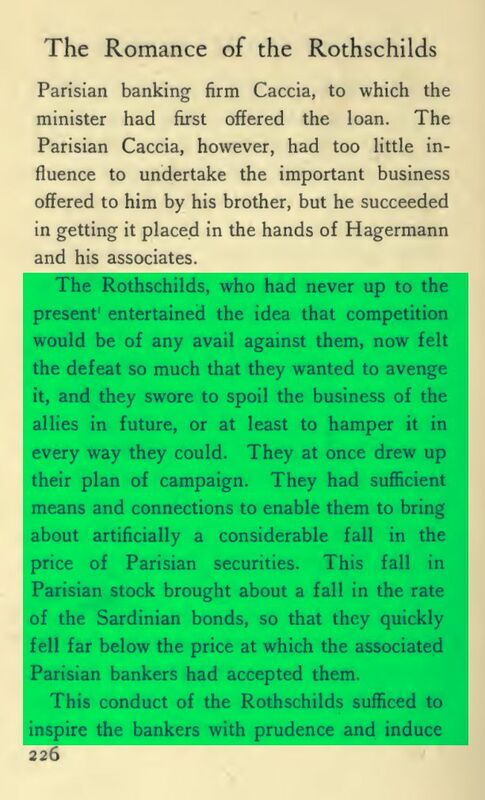 So essentially, the Merovingian line considers themselves the rulers of the Illuminati; above all the others. The name itself has something of a mythic origin, following from Merovech – the fabled founder of the Frankish Dynasty. The Merovingians also believe themselves to be the ancestors of the ancient Egyptian Pharaohs. And the Payseurs? They come from this Merovingian line. 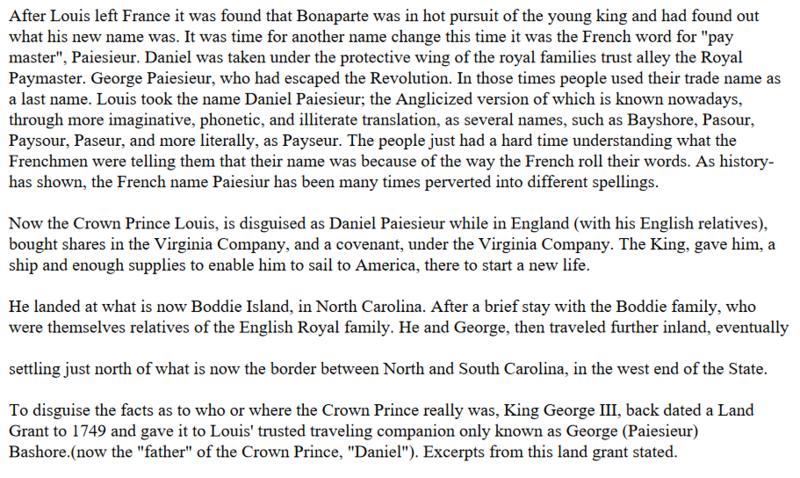 See, the Payseurs were French royalty – descendants of Marie Antoinette, specifically – who had fled France in the face of violent revolution. In other words, the Payseur bloodline stems from the Merovingian Dynasty. 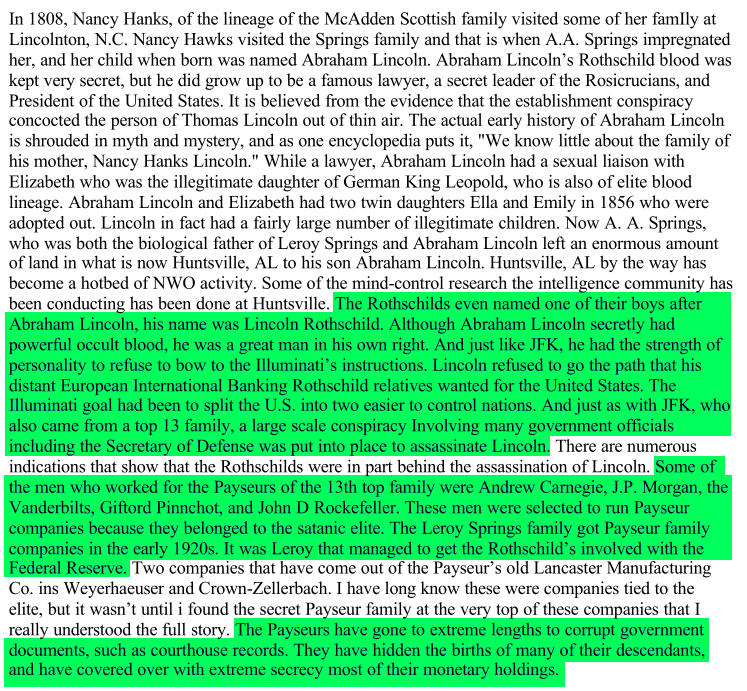 The Rothschilds and the other Illumined families? 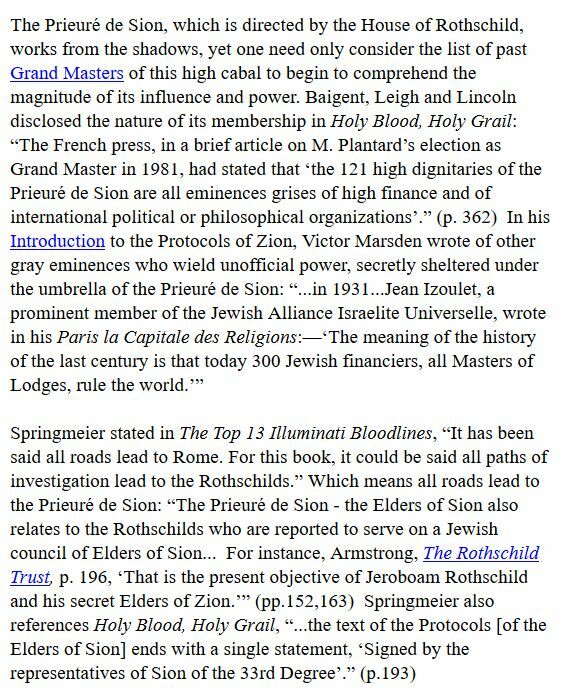 But the one thing that is clear is that this Merovingian line – from which spring the Payseurs – is the most dominant, and best hidden, of all the Illuminati bloodlines. 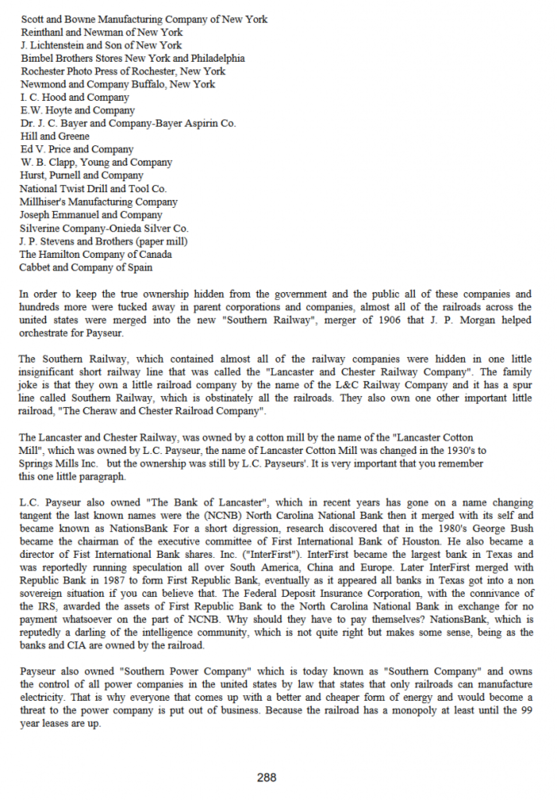 North Carolina… remind me… Which Illuminati family landed in North Carolina and set up shop there? 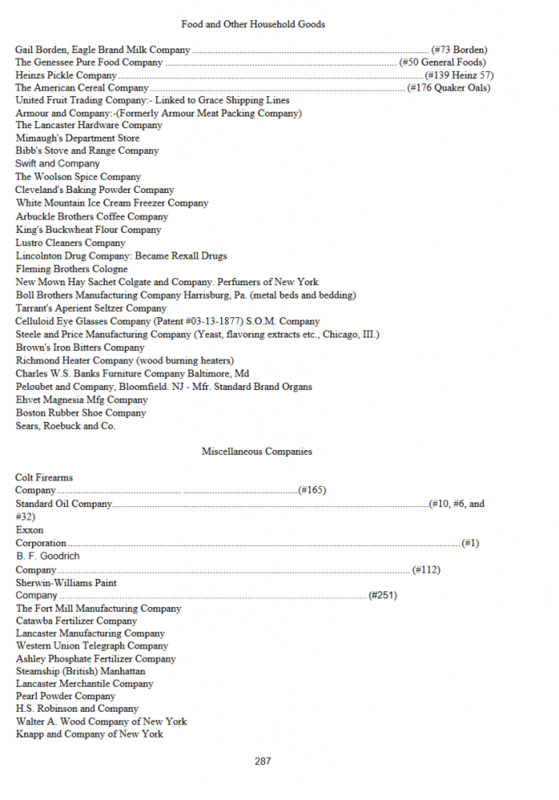 So, on paper, it was “owned” by J.P. Morgan… But in reality, it was actually L.C. Payseur who owned the place. Again, the “Illumined” families served the Payseurs. 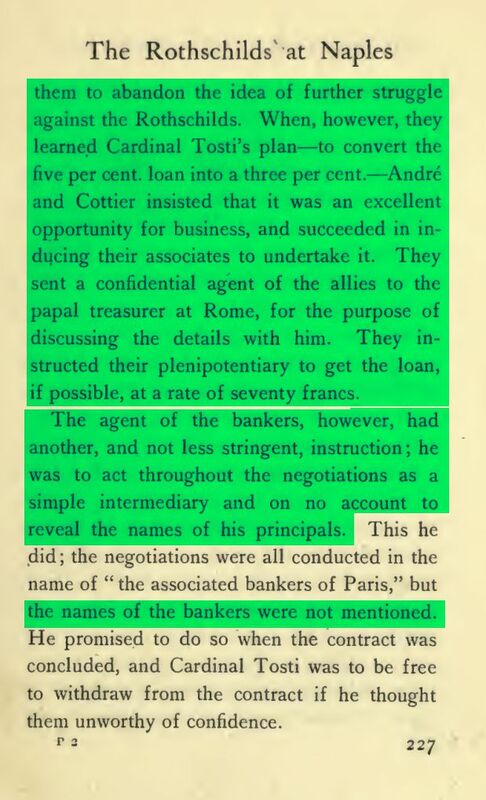 Essentially, all the big banking families in America were trustees of Payseur. 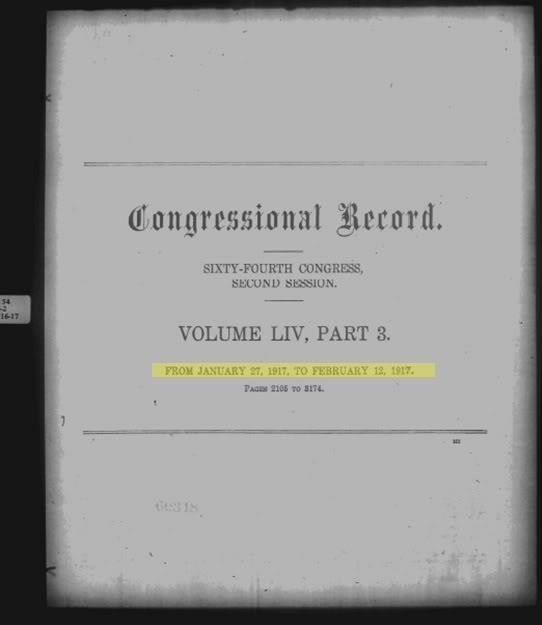 A congressional subcommittee, called “The Pujo Committee,” was formed at the behest of Representative Charles Lindburgh, Sr., to investigate whether or not a “money trust” existed in the United States. 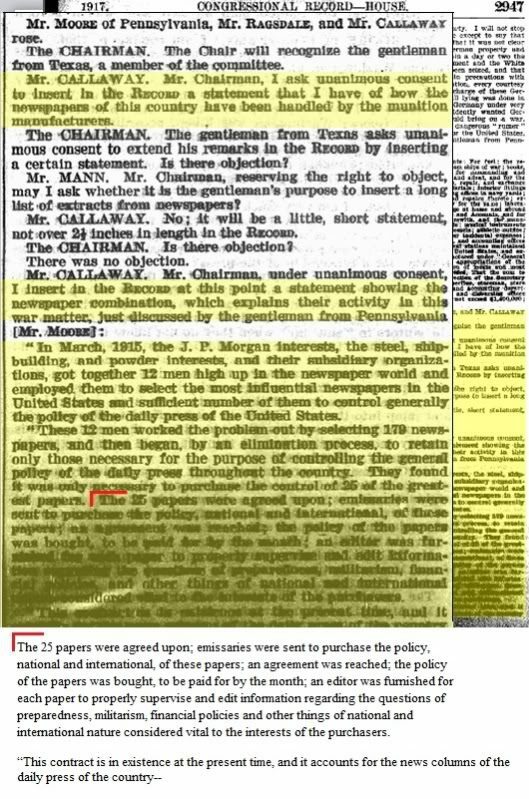 Remember, this was before the creation of the Federal Reserve, so the powers-that-be were largely operating outside the public’s purview – just not in an “official” capacity. 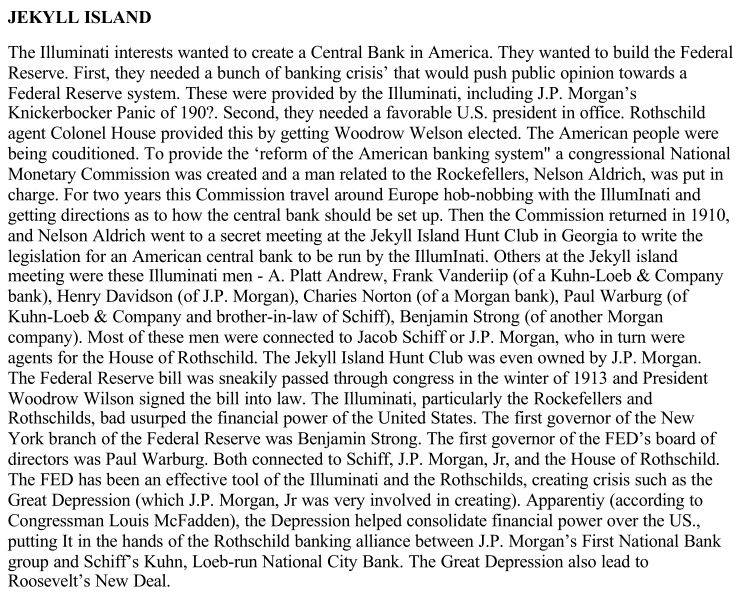 Representative Arsene Pujo put together a team that investigated the likes of Paul Warburg, Jacob H. Schiff, Felix M. Warburg, Frank E. Peabody, William Rockefeller, Benjamin Strong, Jr., and J.P. Morgan – and came to the conclusion that yes, there was a Money Trust in America. 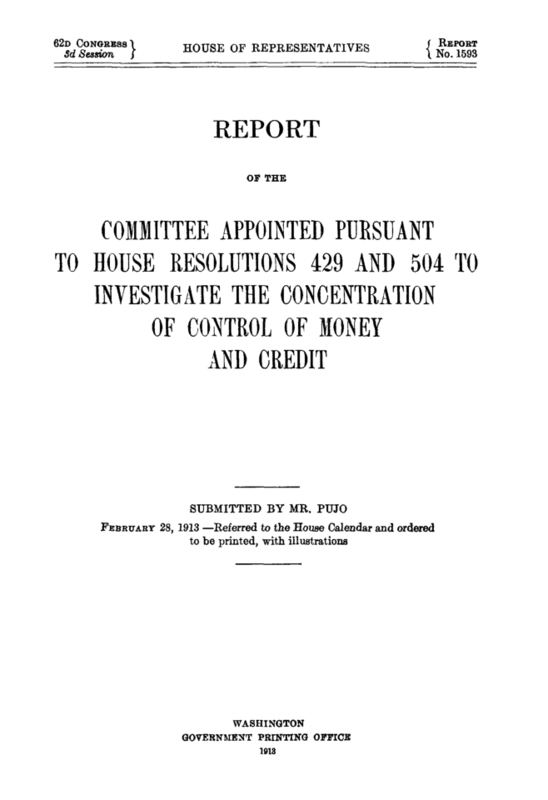 For those who wish to understand the true nature of our current financial system, the Pujo Committee’s 1912-1913 investigation of the “Money Trust” is essential reading. 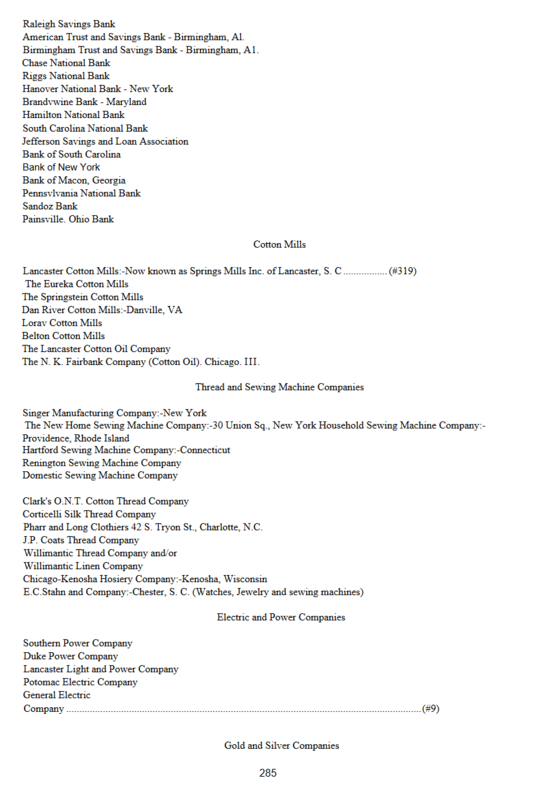 The Committee identified a concentrated group of Wall Street bankers who operated a sophisticated financial network unified by 341 interlocking directorships held in 112 corporations valued at more than $22 billion in resources and capitalization exerting significant control and influence over the U.S. economy and monetary system. 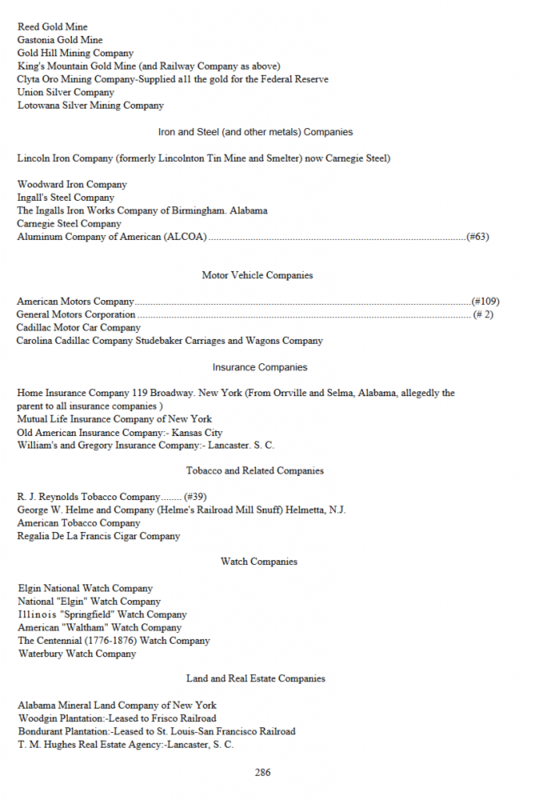 The companies and individuals comprising this network were primarily agents of the Morgan and Rockefeller banking empires which dominated U.S. finance following the “Industrial Revolution”. 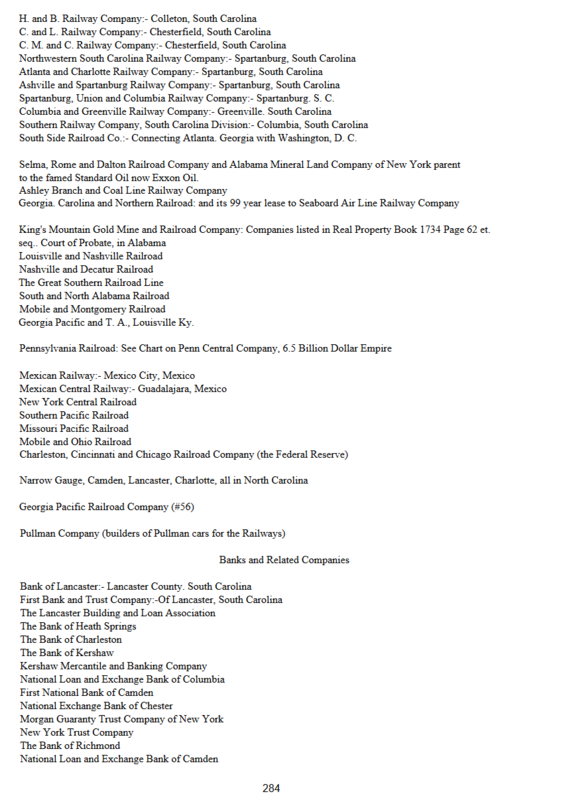 The Committee names a number of prominent banking institutions as participating in this system including J.P. Morgan & Co., First National Bank of New York, Kuhn Loeb & Co. and individuals such as Paul Warburg, Jacob H. Schiff, Felix M. Warburg, Frank E. Peabody, William Rockefeller and Benjamin Strong, Jr. Understanding this system of overlapping financial networks and how those networks were used to dominate utilities, railroads, banking and the U.S. financial infrastructure throughout much of the twentieth century is key to the proper analysis of our current economic situation and the influence that the “Money Power” wields over global politics. 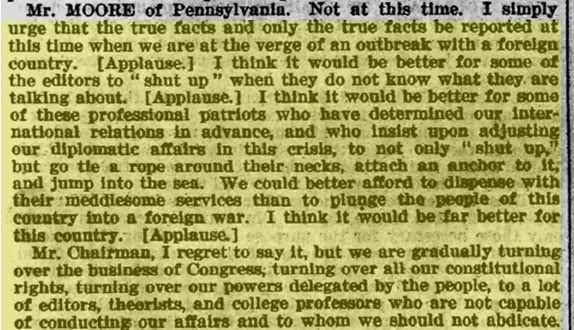 And yet somehow, despite this report, despite this being perhaps the biggest trust-busting era in American History, “public” support for the bankers only grew, and in 1913, the succeeded in passing the Federal Reserve act, and creating the income tax. 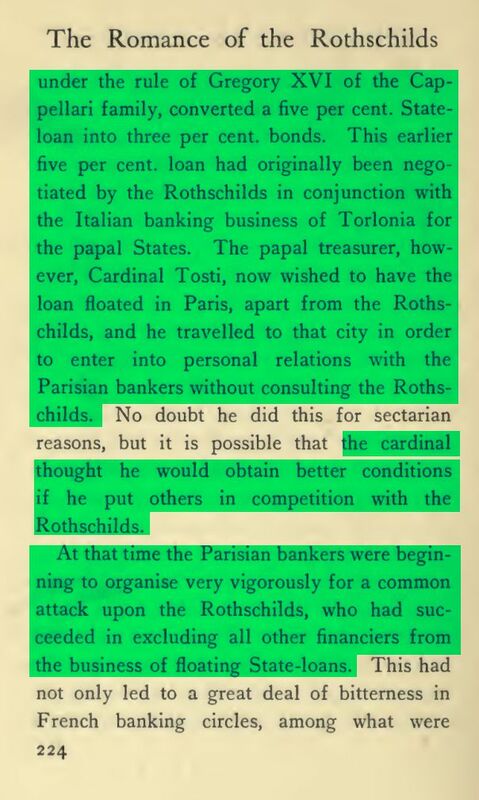 Hmmm… could it be because these same bankers owned both the papers and the politicians at the time? 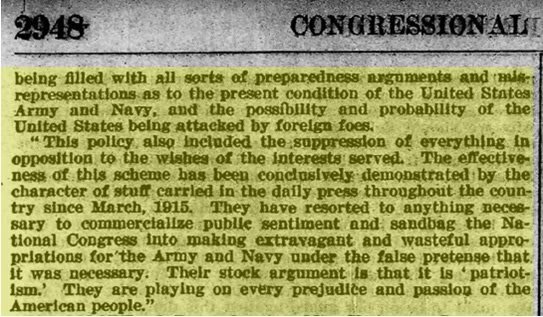 While, yes, this happened officially during 1915, are we really so naive as to believe there was no collusion with the press in steering “public” opinion beforehand? Their political spokesman was Senator Nelson Aldrich, the grandfather of Nelson Rockefeller, the four times governor of New York and vice-president of the United States after Gerald Ford replaced Richard Nixon in the wake of Watergate in 1974. But take a look at those names again. Any look familiar? 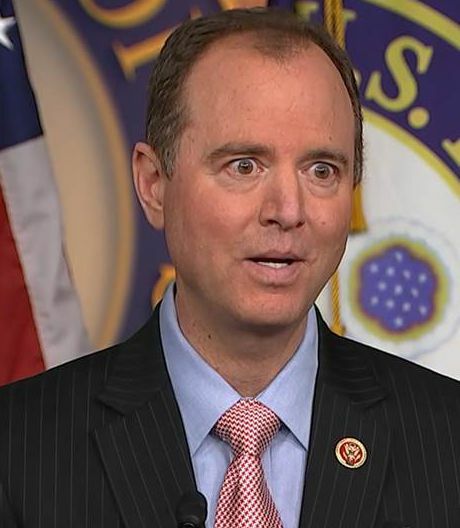 Possible relative in Rep. “Liddle” Adam Schiff? Bloodlines are important to these people, remember. And this was all done at the behest of the Payseurs. Biltmore was constructed by the Payseur family as a hotel in the 1880s and it was operated by the Payseur trustees, the Vanderbilts, on a 99 year lease. 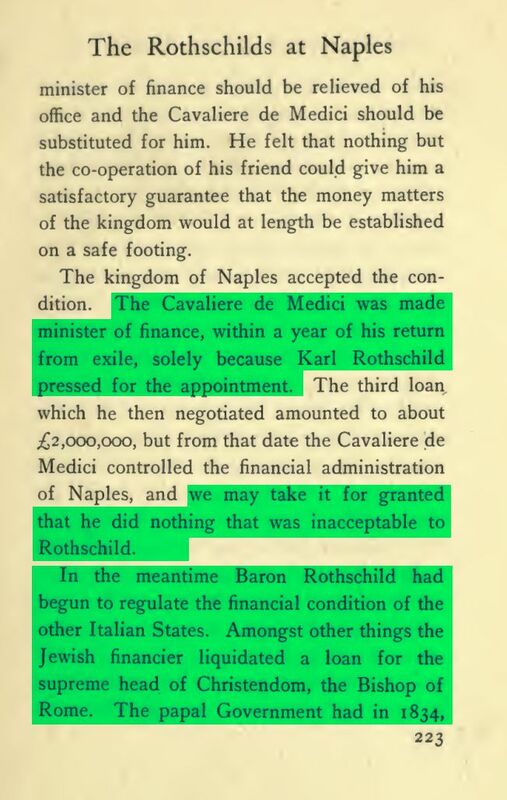 Source: The Biggest Secret – by David Icke. But that was not where their plans ended. The ultimate goal of these Bloodlines was always one-world-government (which is why they hate nationalism), and this goal can only be accomplished by subverting and weakening powerful states (through war, disease, pestilence, drought, etc). 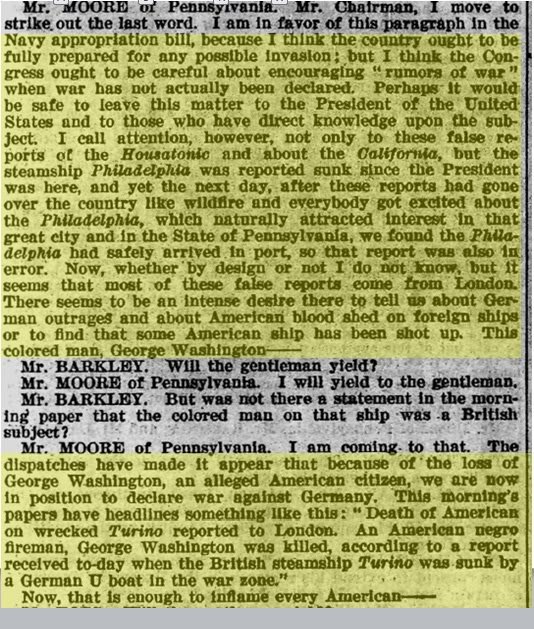 They tried it with the Civil War, and they tried it again with the “16 Year Plan” which we’ve talked about extensively in the past. So to keep their newly minted American slaves moving towards that goal of one-world-government, they continued to implement all sorts of councils and layers of control. Did you catch it? 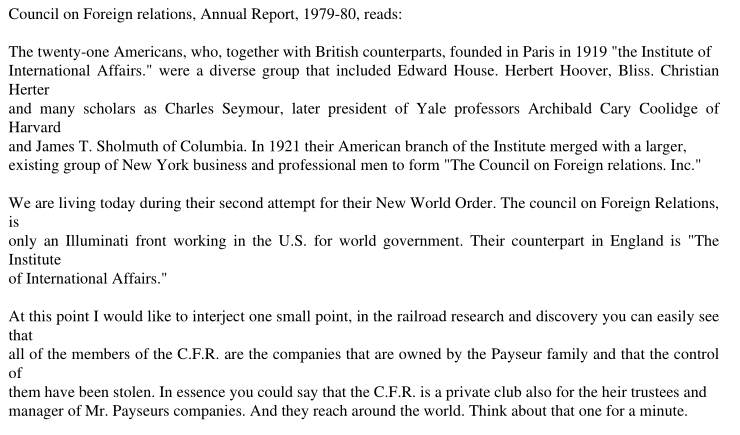 ALL of the members of the C.F.R. 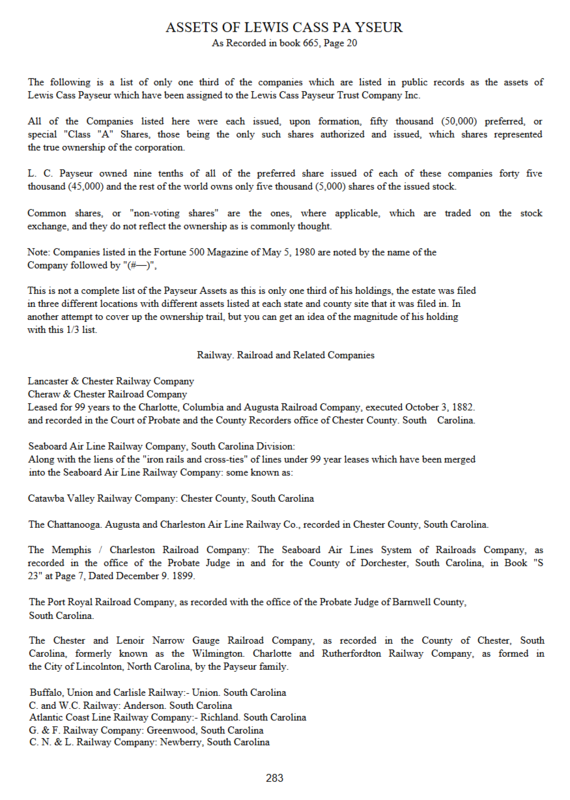 are the companies that are owned by the Payseur family. And it’s also important to note that this was not just happening domestically in America, but, as Q would say: WW. 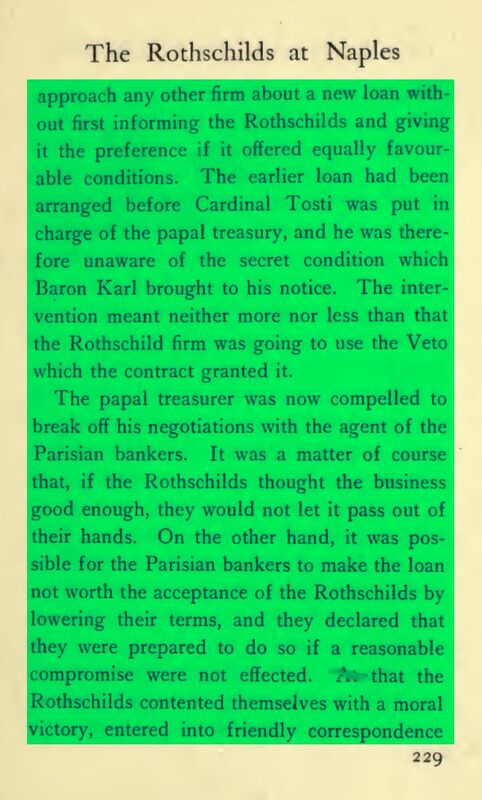 Simply put, the Rothschild loan to the Holy See allowed the secret society known as the Priory of Sion to exert economic, and thus, de facto control over the Catholic Church. But as you can see… they weren’t allowed to go anywhere. 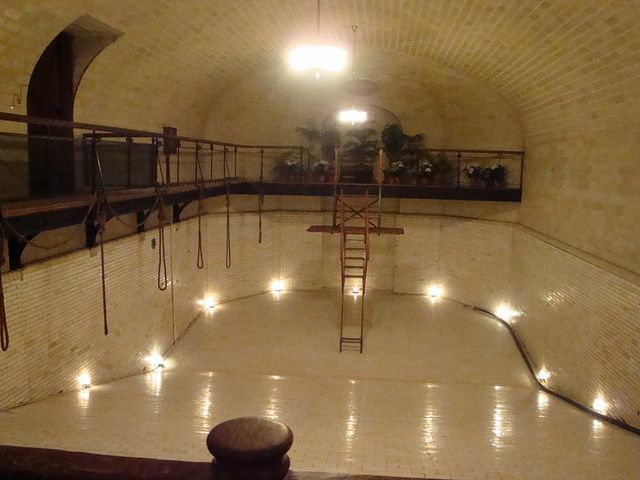 The Vatican was simply too valuable a captive to let escape. And this is where I just about reach the limits of my current understanding. 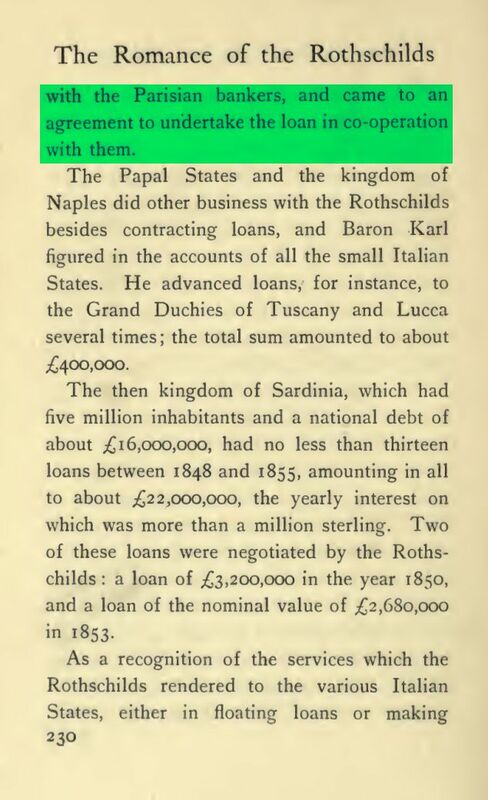 It’s clear that the Roths have had economic control over the Vatican for some time – but the Payseurs are still top dog here. Is it because of the belief in the Merovingian bloodline being superior; thus, the Roths, no matter how big or powerful they get, are always consigned to a role that, while greater than the other 11 families, is still beneath the 13th? Is it because the Payseurs somehow have MORE wealth and material power/access than the Roths? Because a few things are clear: The Roths and the [P] are two separate entities. 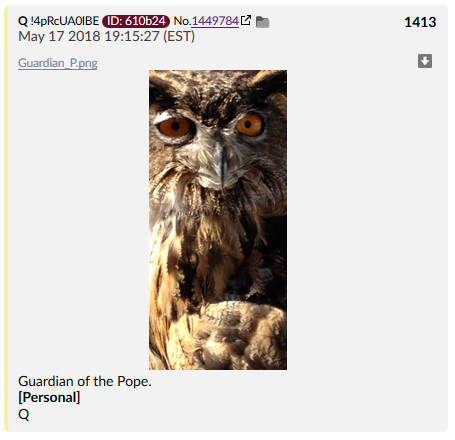 And [P] is the guardian of the Pope. Which would imply that [P] has power over the Rothschilds. 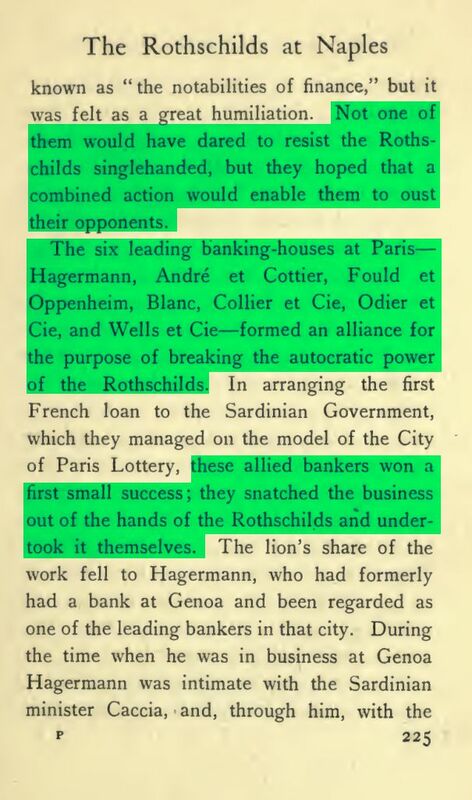 The only group we’ve ever seen ever exercise any authority over the Rothschilds are the Payseurs. I think the evidence is overwhelming now, for [P] equalling the Payseurs, but I’ll leave it up to you to decide. One thing this Cabal has always relied on was the complacency (and disunity) of the people who might otherwise oppose them, and the overwhelming magnitude of their material wealth. It’s why this executive order was like a war trumpet blasting out the earsdrums. 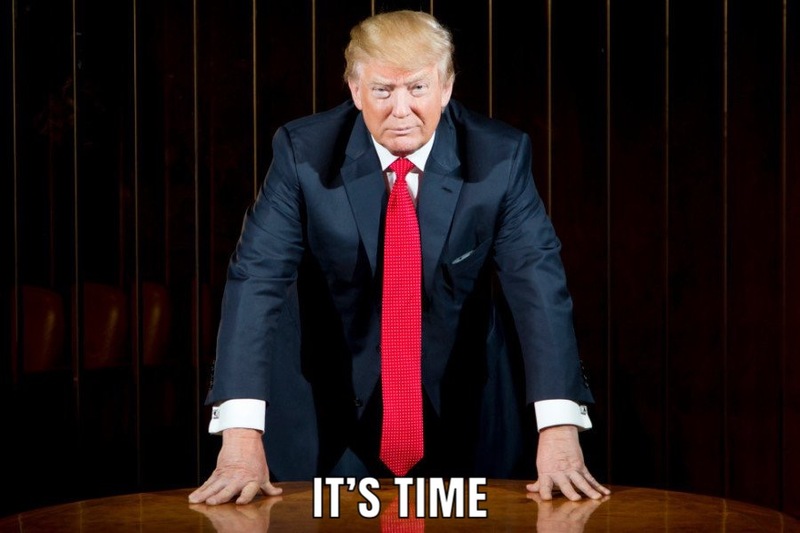 Because in their sick little cult activities, the ones they take so much sick pleasure in, they are all guilty of these crimes – and now, the game has changed. For the first time in history, their sins will cost them everything. 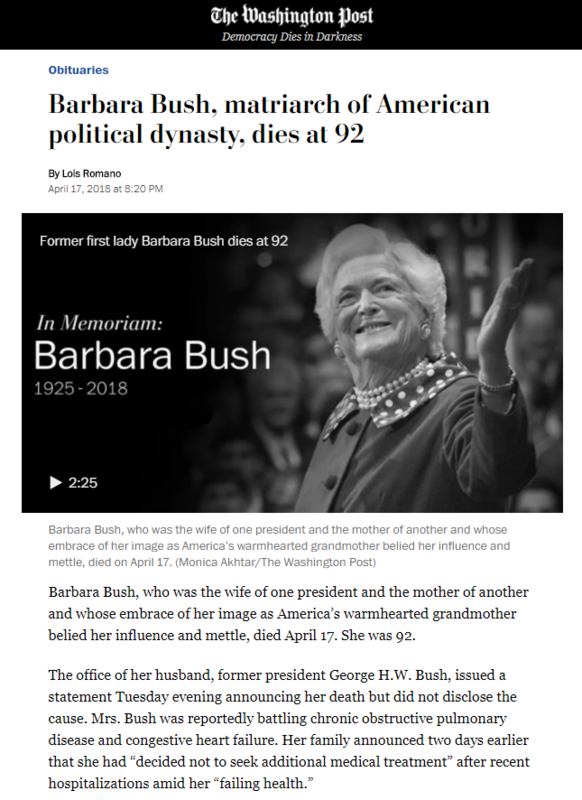 This entry was posted in Uncategorized and tagged evil, love, Lunatic Leftists, MothersOfDarkness, Nationalism, Neon Revolt, NWO, Payseur family, PizzaGate, QAnon, Rothschilds, SGT Report, The Cabal, The Vatican, TheCabal Post navigation Anderson Cooper’s Satanic Slaughterhouse #NewQ #QAnon #GreatAwakening #Pizzagate #Pedogate #TheVatican #Podesta, TrumpTags Anons. Bookmark the permalink.